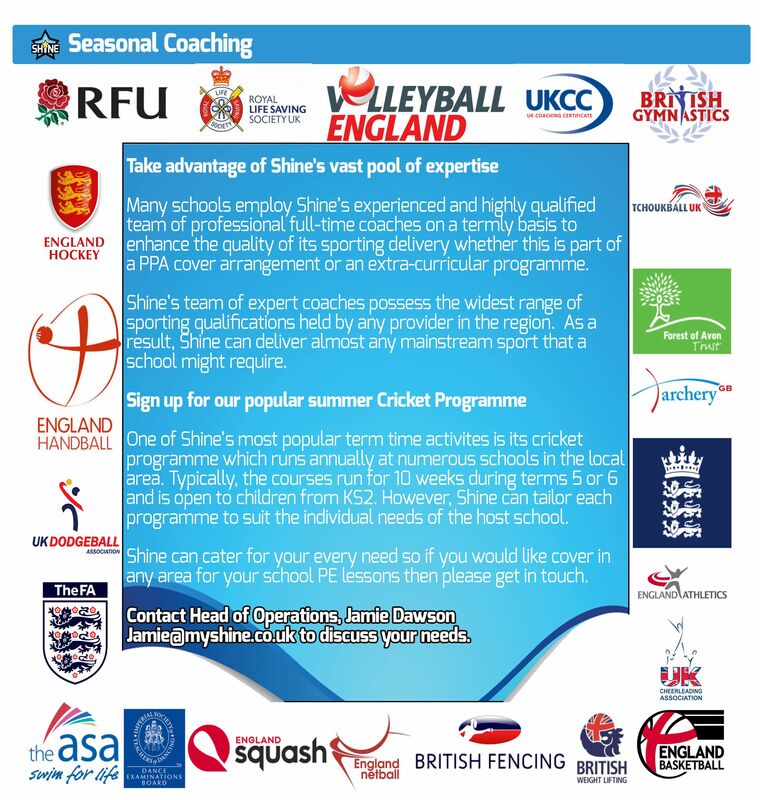 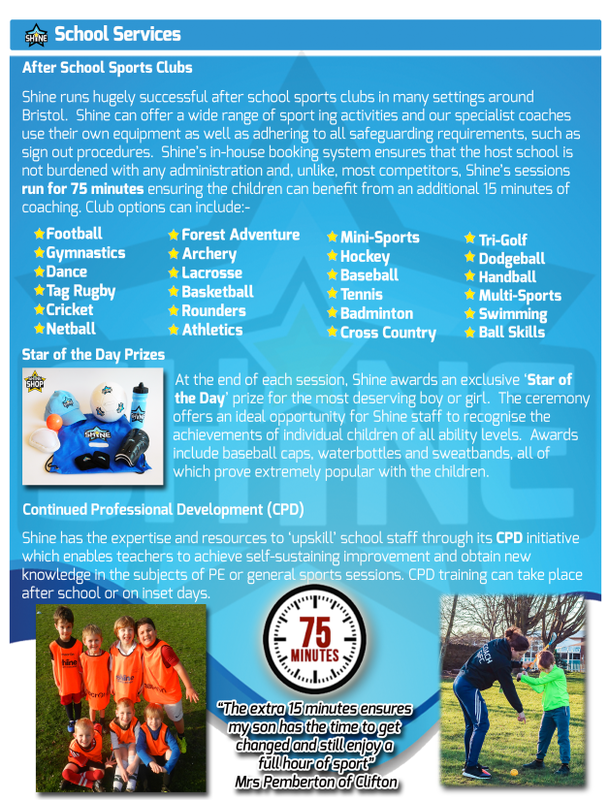 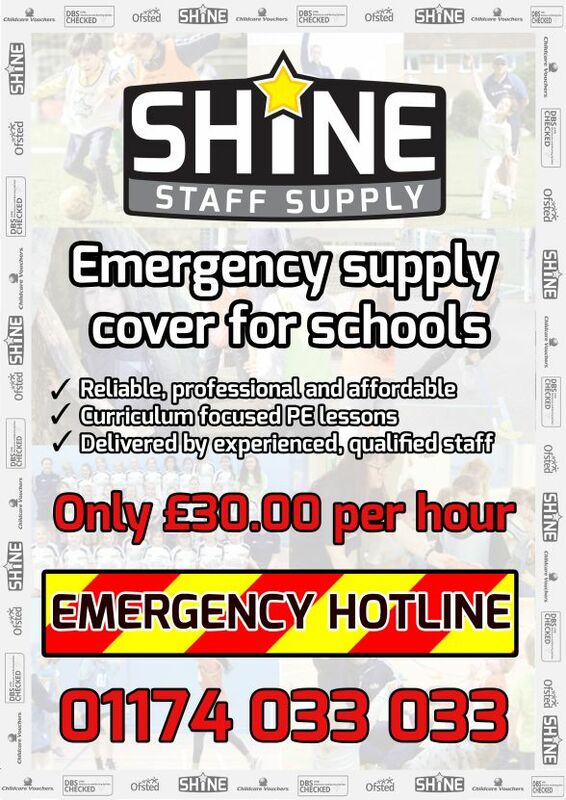 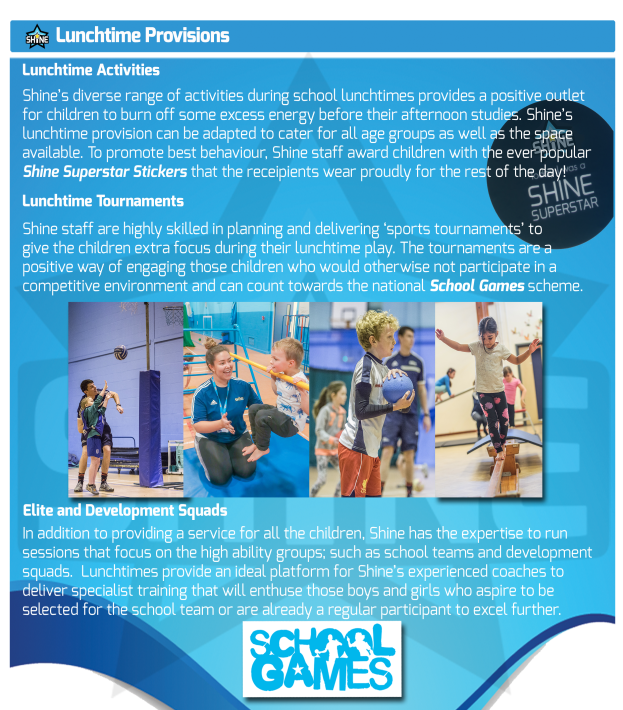 Shine is OFSTED registered and its qualified coaching staff always hold current DBS checks and are fully insured with high levels of experience in delivering quality sports sessions to children between Reception and Year 8. 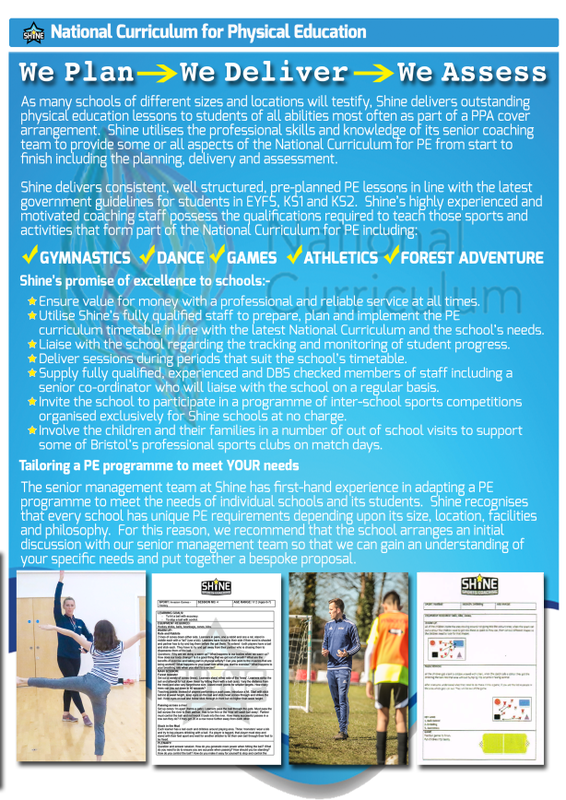 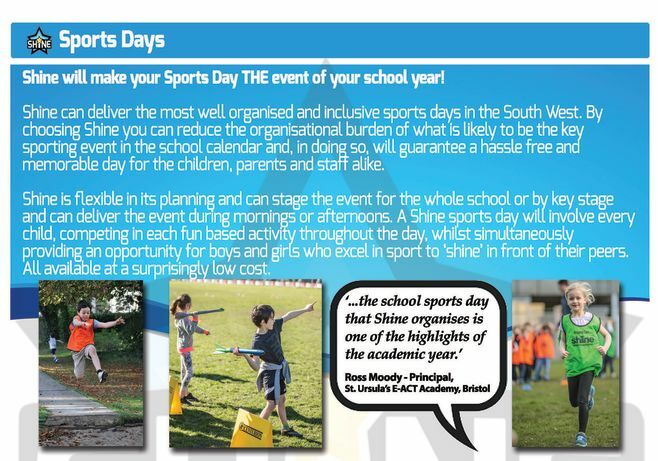 Shine's senior management team would welcome the opportunity to visit your school to talk in detail about what we can offer and the benefits this brings to your school. 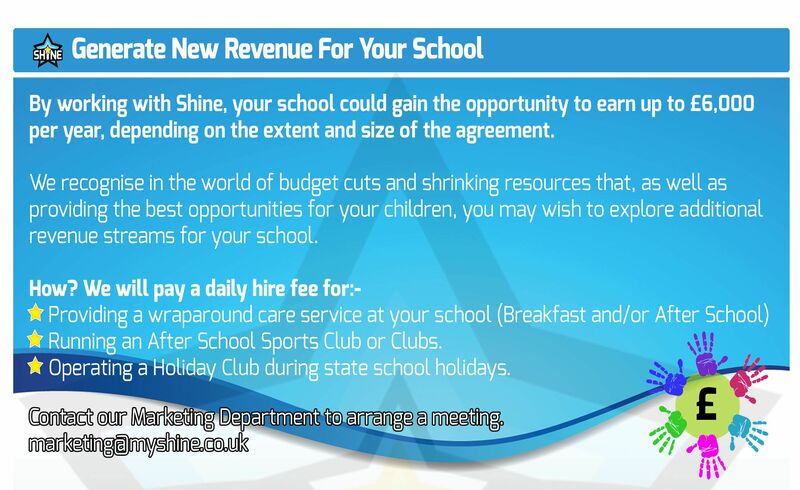 For further information, please scroll below.